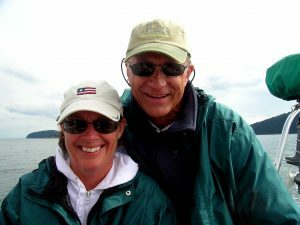 About Us – Urban Forest Nursery Inc.
Annie and I moved from the mid-west to Washington State in January of 1988. After a couple of years working for another local forestry consulting business, we started our own small arboricultural consulting company based in Mount Vernon, WA. Since then, Urban Forestry Services, Inc. has become a respected leader in urban forestry and horticultural consulting practices around the Pacific Northwest. A few years after starting the consulting business, we wanted to explore our other passion of actually growing the trees we are so enthusiastic about. Initially, we rented a small field down the road and began planting. 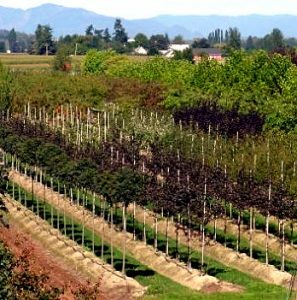 As timed evolved and the passion grew, we eventually purchased 32 acres of beautiful land in the Skagit Valley to start a wholesale tree nursery. Over the years, Urban Forest Nursery, Inc. has remained steadfast in always ensuring clients are delivered high quality street and landscape trees in growbags. Consider leaving a fixed amount from your estate to the (TREE Fund’s) Heritage Oak Society. We did. We thank all our past, present and future clients. Without your patronage, our success in this incredible industry and ability to contribute back over the years would not be possible. Thank you! Urban Forest Nursery, Inc. has three full-time employees helping out in the field. 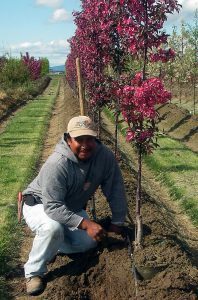 For over eighteen years, Abel Contreras has held the position of Field Operations Manager, responsible for supervising the day-to-day work associated with planting, irrigating, pruning, digging, and loading. Juan and Paulino are Abel’s right-hand men, and work hard to ensure the nursery is in tip-top shape. 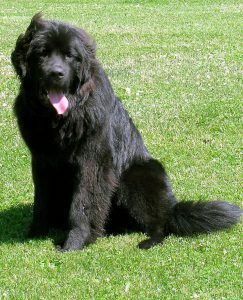 …and then there is Newman, the company mascot!